Khoos Doozi is a traditional Iranian needlework which uses narrow plastic strips in various colours for sewing on different clothing. 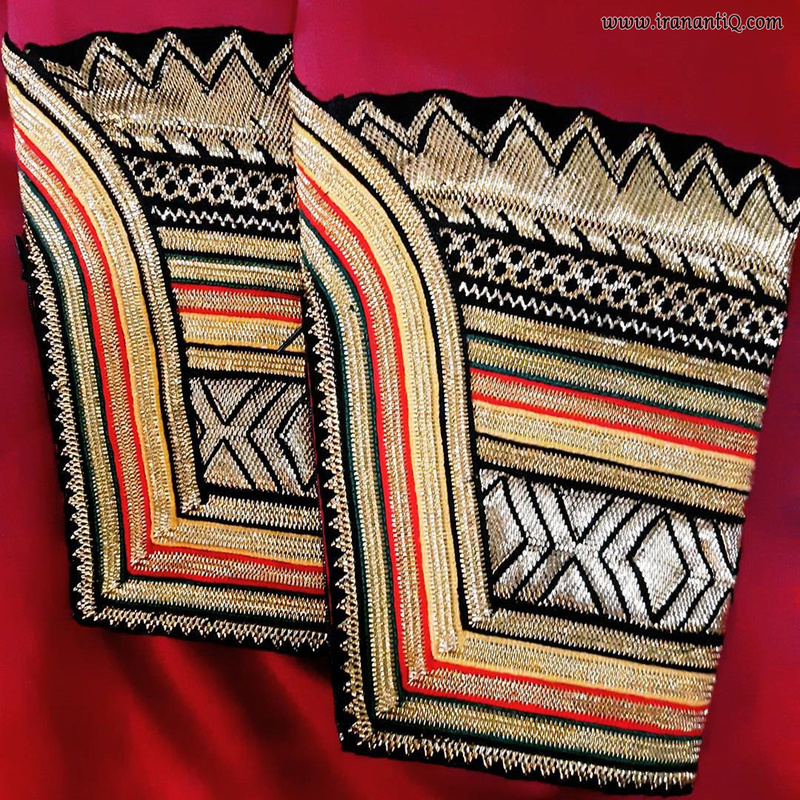 Golden and silver strips are most popular among Khoos Doozi artists. Meanwhile, the thread used in Khoos Doozi used to be made of silver. There is no reliable written history of the art but it is for sure that the art was widespread during the Safavid dynasty in the south-eastern province of Sistan and Baluchestan and the southern port city of Bandar Abbas. The plastic strip (Khous) is sewn on lace and velvet fabrics. For sewing Khous on velvet, we should use a special needle named chenille. The eye-catching art is used to decorate scarfs, lace chadors (usually dark and black), bride dresses, pants, counterpanes, cushion covers, hats, female shirts, vests and so on. The designs used in the art are mainly Nine Bricks pattern, Beehive pattern, Six Hearts pattern, Bricks into Bricks pattern, Polygon Star pattern, Fig Leaf’s Margin pattern, Flower pattern, Swirl Flower pattern, Butterfly pattern, Crab pattern, and Cup pattern. Khoos Doozi can also be blended with sequins and braid to create memorable and eye-catching pieces. The art is still widespread in Hormozgan, Sistan and Baluchestan, Fars, Bushehr and Kurdistan provinces. 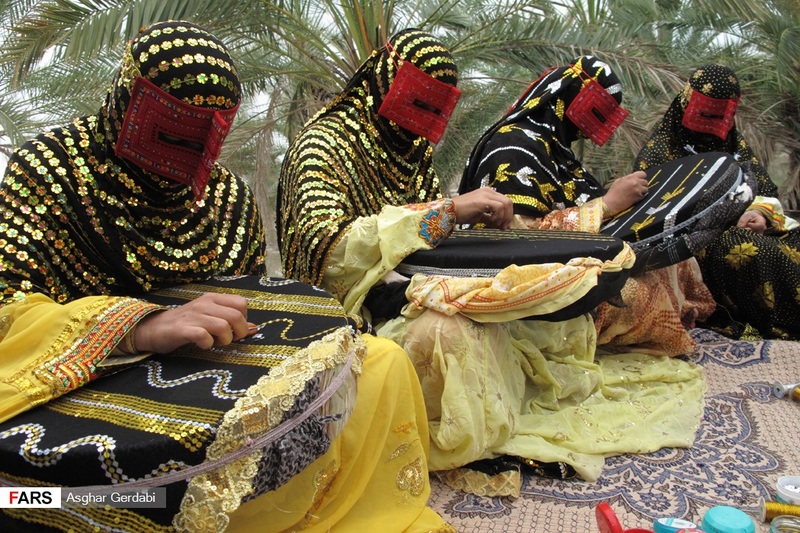 Back in November, the Khoos Doozi art of Bushehr in southern Iran received UNESCO’s Seal of Excellence in Handicrafts.